Steven Wagner, a top official with the Department of Health and Human Services, has reported that there are as many as 1,500 immigrant children the Federal Government has lost track of in 2017. Steven Wagner, a top official with the Department of Health and Human Services (HHS), has reported to the Senate that the US federal government has lost track of 1,500 immigrant children who were separated from their parents this past year. 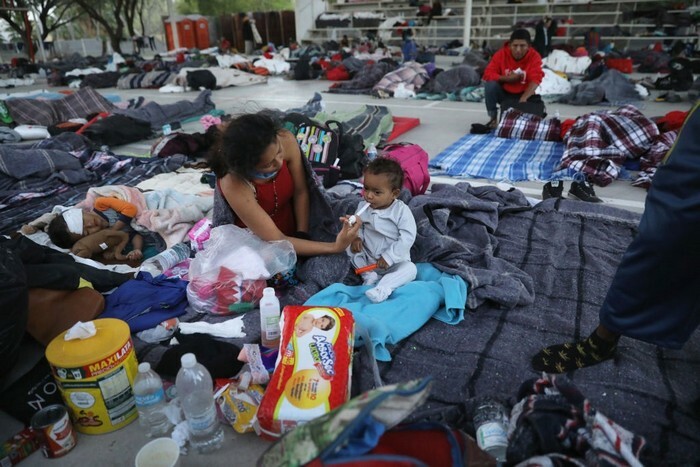 According to Wagner, the Department of Homeland Security placed more than 40,000 immigrant children in the care of the ORR (Office of Refugee Resettlement) during 2017. The children, who are separated from their parents once they reach the border, are placed to live with sponsors who have a family connection with them. In some cases, the children are sent to live with a sponsor who is not a family member, meaning they become a part of the foster care system in the country. In front of a senate subcommittee that was held this last April, Wagner reported that the ORR kept track of 7,635 children, but "was unable to determine with certainty the whereabouts of 1,475 children,". Before placing children with potential sponsors, the ORR conducts a series of evaluations, tests and background checks to see whether they are suitable to take care of a child. Despite the alarming number, Wagner also said that it is not the responsibility of the HHS as the office "taking a fresh look at that question. But if the ORR were to be legally responsible for the well-being of unaccompanied immigrant children, it would need a significant increase in resources." A month after Wagner's statements, the HHS is receiving backlash about its policies that will cause more children to be separated from their parents. 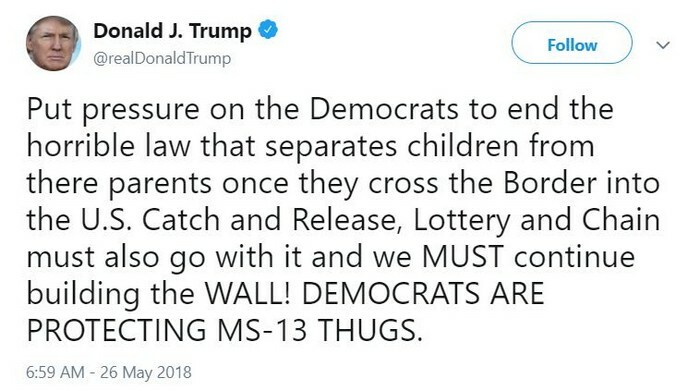 President Trump also spoke about the policy in a tweet he released this past Saturday, saying "Put pressure on the Democrats to end the horrible law that separates children from there [sic] parents once they cross the Border into the U.S. Catch and Release, Lottery and Chain must also go with it and we MUST continue building the WALL! DEMOCRATS ARE PROTECTING MS-13 THUGS." 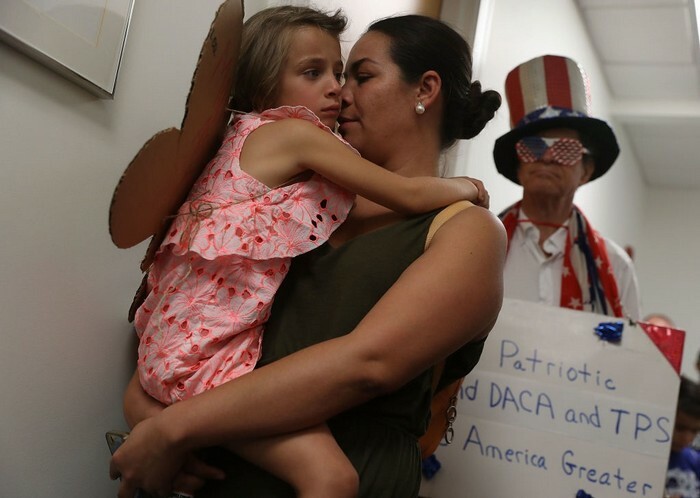 Immigrant parents have said that they did not see their children after the separation from them, sometimes for several months. Trump has stated he wishes to end the separation policy but seeks to prosecute Mexican immigrants crossing the border. 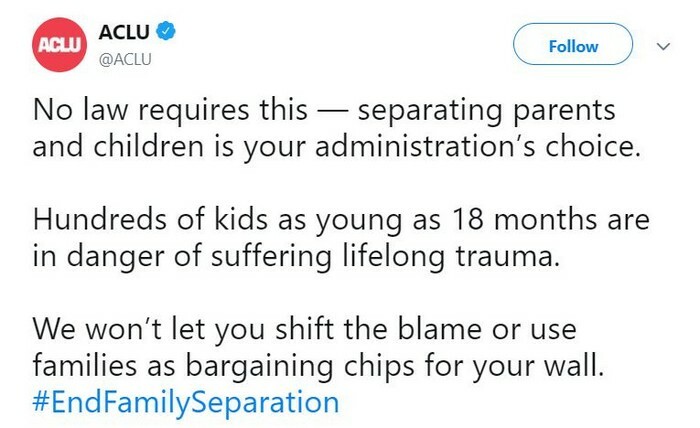 The American Civil Liberties Union (ACLU) replied to Trump with a tweet of their own, saying "No law requires this — separating parents and children is your administration’s choice. Hundreds of kids as young as 18 months are in danger of suffering lifelong trauma. We won’t let you shift the blame or use families as bargaining chips for your wall".